Hello! What a busy time I had since my last post, that I had a few reviews lined up but never got around to post about it! 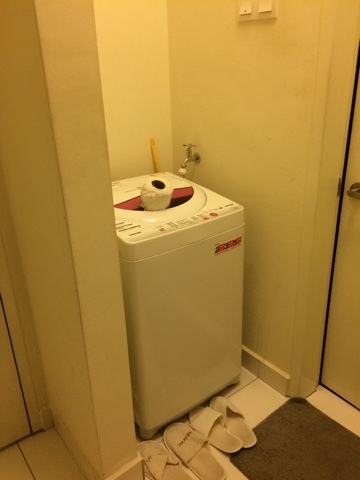 Anyway, remember my previous post about using AirBnB to book an apartment in Osaka? Well, since we had a positive experience with AirBnB, we decided to save up on hotel stays and booked a studio apartment during our visit to Kidzania KL back in January. So, if you are looking for a decent stay within walking distance to Kidzania in Mutiara Damansara, then I would recommend NEO Damansara. It is barely 1km away from The Curve so it was not such a long walk for our family including our 4-year old daughter. 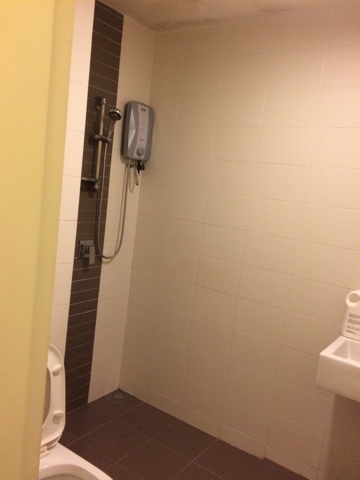 The bathroom has hot shower. Toiletries are also provided. 2. Check in was a breeze, with the security personnel informed of our arrival ahead of time and the padlock number given to us prior to our arrival. 3. The apartment size is ideal for two to three adult guests or young family of four. 4. 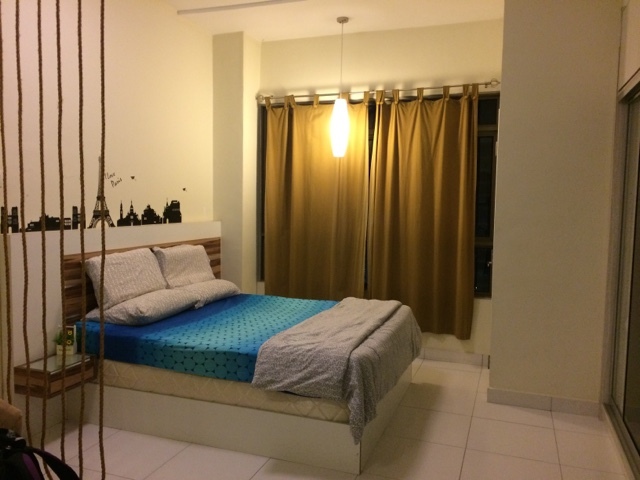 A convenient store, a mamak restaurant and even a clinic are available at the property. Super convenient. 5. 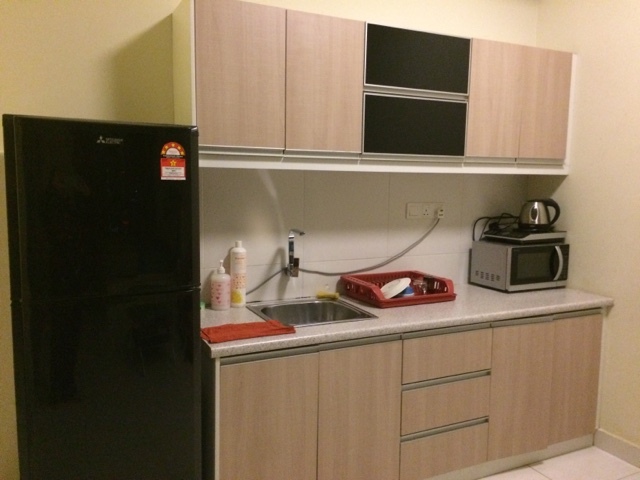 The apartment is clean and basic, suitable with the price. 6. Complete amenities including a tv, sofa, ceiling fan and aircond on top of the above that I mentioned. 7. Check out was also a breeze. 1. The bed mattress is not exactly hotel standard. You could feel yourself sinking into the mattress. 2. The extra mattress has stains. 3. The aircond needs servicing, but it does get the room cool after several hours. You can opt to switch on the ceiling fan too. Overall, it was a satisfactory place to stay for the money we paid.